You are here: Home › Real Estate › What Is The CMHC Fee For – Does It Protect The Buyer? Does It Protect The Buyer? If you are thinking about buying a home you probably already know just how much paperwork is involved. You will need to secure a loan which requires its own set of paperwork, but then you also need insurance. Many homeowners think they have to worry about insurance once the home has been purchased for protection against fire, natural disasters and possessions, but the Canada Mortgage and Housing Corporation (CMHC) mortgage loan insurance is required just to secure the loan. To many homeowners this seems unfair and more than a little heavy-handed but the truth is that without the CMHC fee you’d have to come up with a larger down payment, which is near impossible for the average home buyer. Homeowners in Canada are able to purchase homes even if they do not have enough money for a significant down payment due to CMHC insurance. Traditionally mortgage lenders require potential borrowers to have a down payment that is 20% of the purchase price of the home. CMHC fees allow risky homeowners a chance for a reasonable mortgage without high interest rates. Because the lender is taking a risk by offering a home mortgage to someone without the requisite down payment, CMHC allows you to pay a premium up front that is added to the mortgage amount in the event the borrower defaults on the loan. Any Edmonton real estate lawyer will tell you that the CMHC fee allows you to purchase a home with a down payment as low as 5% but with interest rates as though your down payment was the typical 20%. 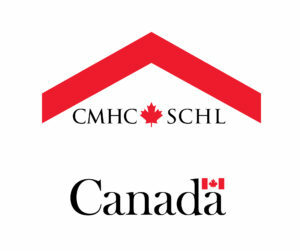 The CMHC fee the borrower will have to pay depends on the risk level assessed by the lender. The two main factors that determine the CMHC fee are the size of the loan and how much you are contributing to your down payment because the lender must secure mortgage loan insurance, and they pass that cost on to you, the borrower. The smaller the amount of the down payment the borrower is able to contribute, the larger the CMHC fee will be. For example, let’s say you are able to come up with a down payment that is 10% of the purchase price instead of 20%. You will be required to pay a 2% premium fee and if you are only able to contribute 5%, a 2.75% fee will be added to the cost of the loan. If you have questions, find an Edmonton real estate lawyer to explain CMHC fees to you. This may seem like a high price to pay but it may be paid in a lump sum up front, or added on to the monthly mortgage, which usually is about an additional $20 per month. Most home buyers see the CMHC as a form of punishment for not having enough money but the truth is that this fee actually protects the buyer from higher monthly mortgages, exorbitant interest rates and stringent lending rules. Without the CMHC fee most lending institutions will exercise two options: first they can simply deny the loan altogether for failure to come up with the required 20% down payment. However the more likely option is that your risk level will force the lender to offer you a loan with a high interest rate, which will increase the amount of the mortgage payment each month. Of course the main point of the CMHC fee is to protect the lender in the event you default on your loan so you are protected…in a way. And this is where it is so important that you find Edmonton real estate lawyers to explain the nuts and bolts before you sign anything: the borrower (you) may be on the hook, if you default, for the difference between what the home sells for and your CMHC insurance fee. Remember that while this insurance allows you to achieve your dream of owning a home, it does not protect you against having to pay any additional fees if you have to default on your loan. Of course no one purchases a home with the intention to default but you should know how protected you are if it does occur.